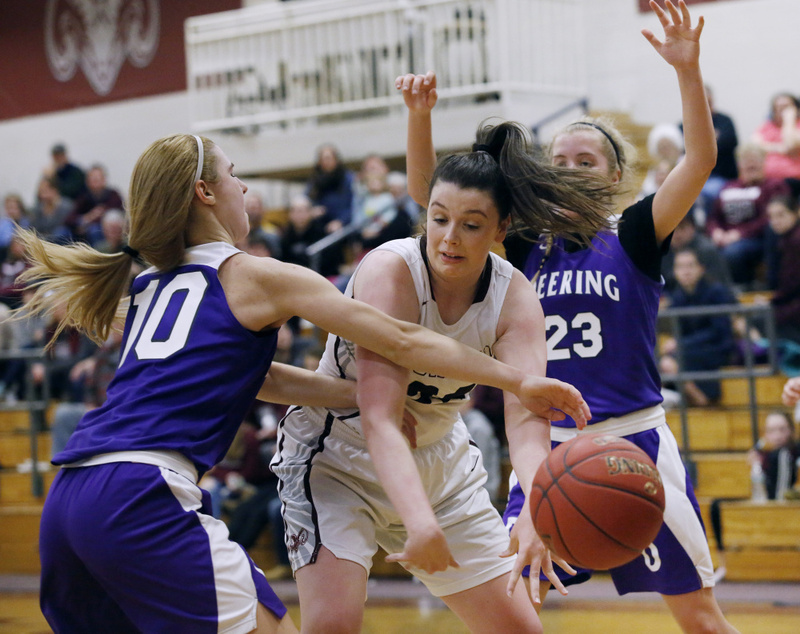 Gorham wins its 45th straight game, beating Deering, 46-39. GORHAM — Freshman guard Adele Nadeau was not part of Gorham High’s two Class AA state championships and 42 consecutive victories the last two years. But she’s certainly doing her best to keep the streak going. 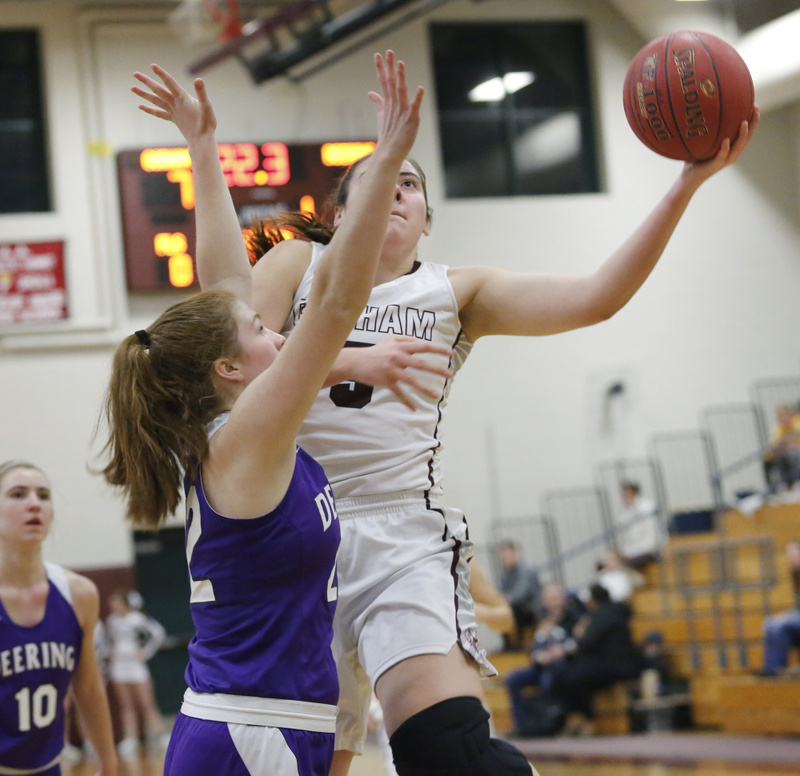 Nadeau scored nine of her 16 points in the fourth quarter Tuesday to fuel Gorham’s latest victory, a 46-39 comeback against Deering. 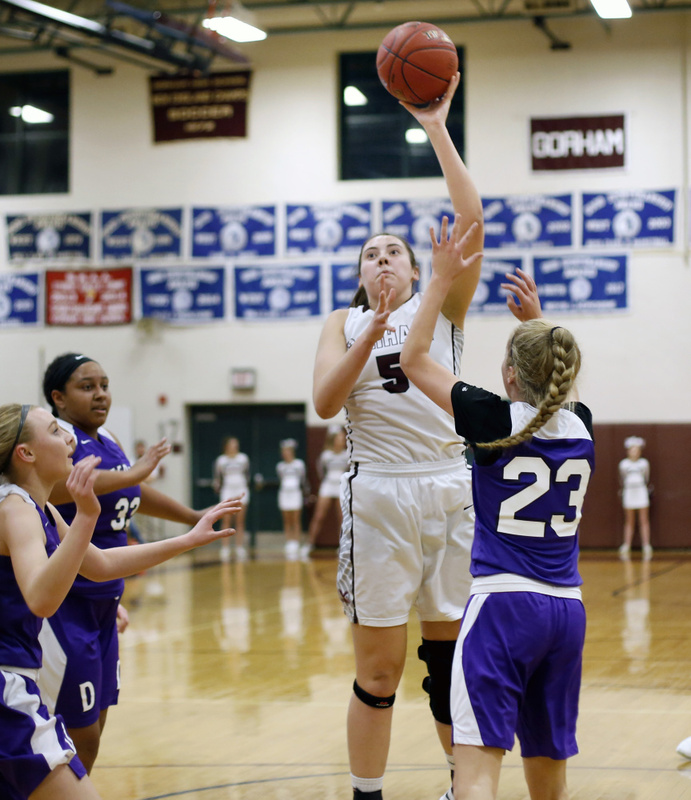 With Gorham trailing by three entering the final quarter, she hit back-to-back 3-pointers to start an 8-0 run that sparked Gorham to its 45th consecutive victory. 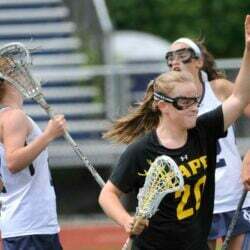 It also helps to have 6-foot-2 junior center Mackenzie Holmes on your side. Holmes scored eight of her game-high 25 points in the fourth quarter, including four foul shots in the final 1:10. The victory lifted Gorham to 3-0. 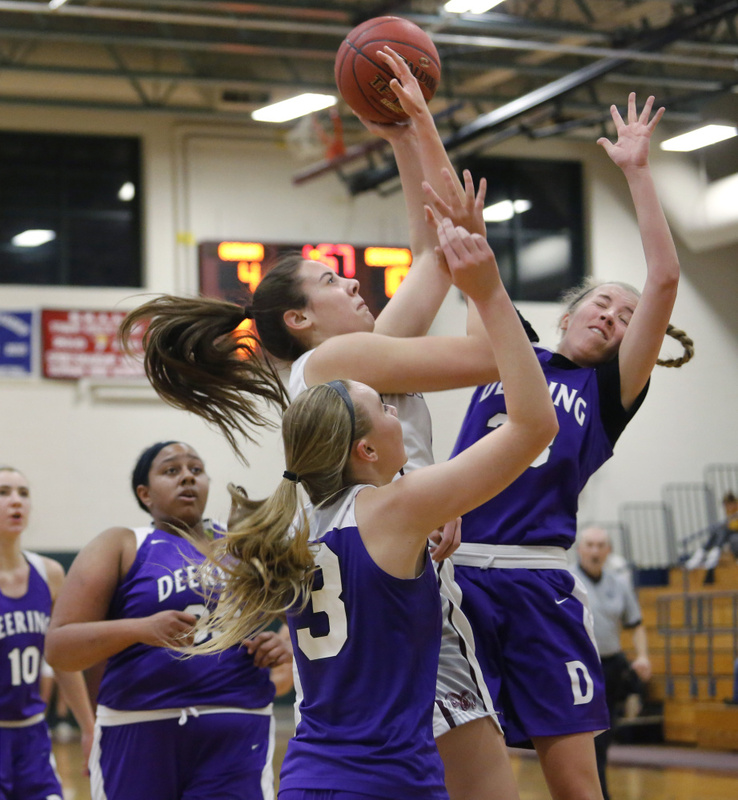 Deering, which held a nine-point lead early in the third quarter, dropped to 2-1. 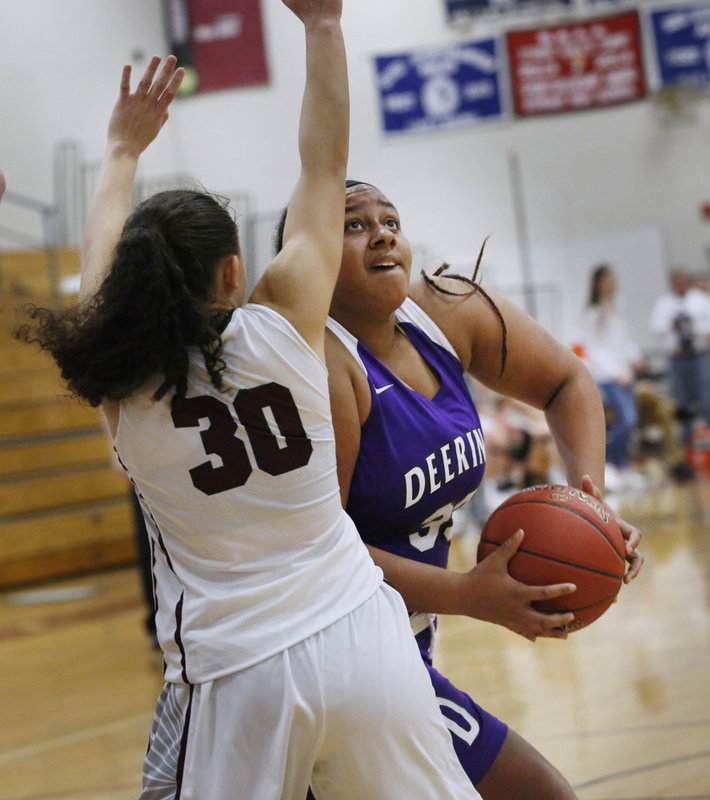 Deering, which doesn’t have a senior, didn’t trail until the early moments of the fourth quarter. It played a patient offense, working for the open shot, and a zone that disrupted much of Gorham’s passing lanes. 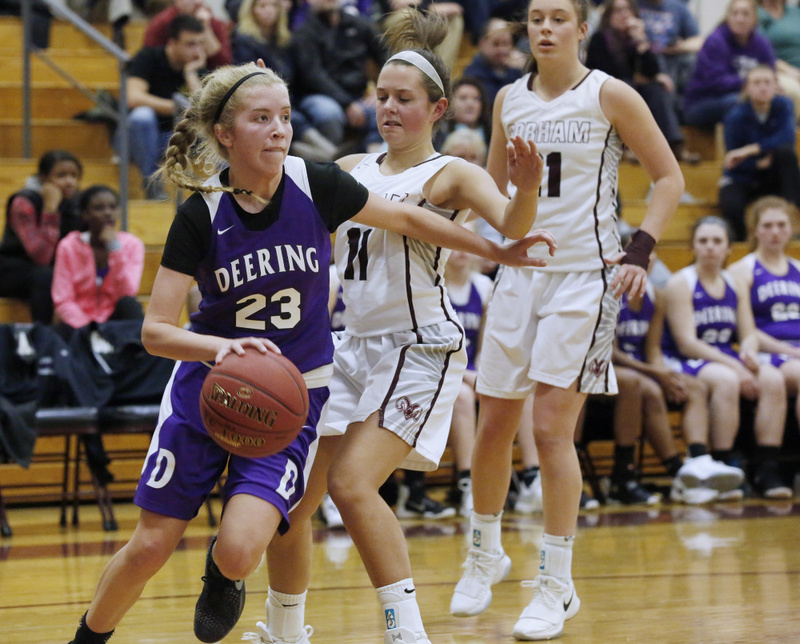 Deering hit five 3-pointers in the first half to lead 23-21, then went on a 7-0 run to start the third quarter, with Delaney Haines (17 points) getting four points and Mandy Mastropasqua adding three to make it 30-21. But Gorham started pressing on defense, Holmes affected a couple of inside shots and the rally was on. Trailing 31-28 entering the fourth, Nadeau hit a 3-pointer from the right corner to make it 42-42 seconds in. Then she hit another 3-pointer, this one from the left of the key, to give Gorham its first lead, 34-31 with 6:55 left. Murphy said he wanted to force Gorham to take those shots and keep the ball out of Holmes’ hands. After a Deering miss, Holmes scored on a sweeping left-handed hook to make it 36-31. “I felt we did a great job coming together and playing together down the stretch,” said Holmes. 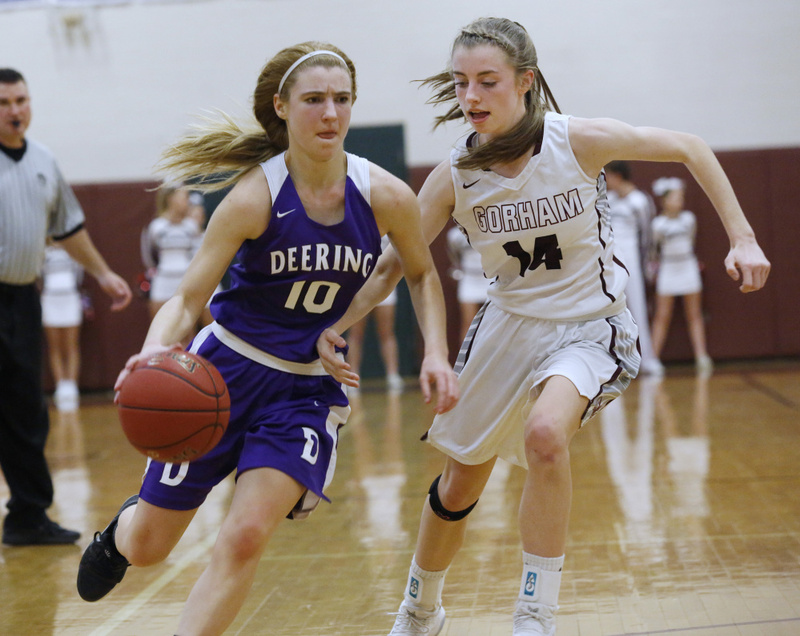 Haines brought Deering back within 38-37 by banking in a floater from the lane with 3:28 left, but Nadeau struck again, this time on a right baseline drive. She also was fouled on the play and hit the free throw with 2:40 left to make it 41-37. Holmes added four foul shots to push the lead to 45-37 with 39 seconds remaining. And Gorham survived to extend a streak the players try not to think about.